immediately very sweet and associations with gummy bears, in addition to some red fruits and also a ripe red apple, removed also a few herbs / grasses. Over time, even a slightly earthy note is added. pleasant tingling, neat sweetness and also strength. The 45% are great. Also in the mouth I find the red fruits and the apple again. The whiskey covers the whole mouth. Long. Wow so far I had only smokers so far. A rye "a minimum": 51% of rye. Not so dry, due to the significant presence of corn (39%), with the nose of orange and varnish. With a little patience, a little chocolate and coffee. On the palate, nice spicy and very fruity attack behind. Slight solvated note common to bourbons. 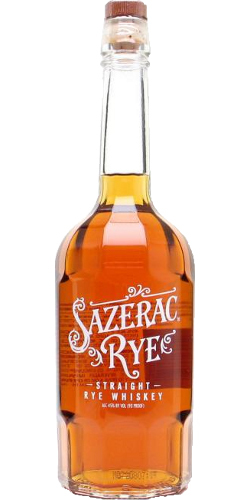 A quality and affordable rye that I would recommend to someone who has never tried a rye whiskey. A very good Rye, clear recommendation. This was a very decent rye, not too complex and very spicy. I slightly prefer MGP ryes, but that’s a matter of personal taste, so don’t write this one off until you’ve tried it. Wine cake. Vanilla. Sandalwood. Rosewater. Bubblegum. Waxy fruits. Bitter oranges. Buttery candy. British style fudge. Woodspice. Wet cardboard left to dry in the sun. Bit of a sweet alcohol note, like a sweet rum. Vanilla. Salty toffee. Caramel pudding. Then a huge hit of salt along with pepper and cinnamon. Bit of bitter chocolate on the swallow. Long. Spicy, cinnamon and pepper. Bitter chocolate. Orange peel. Cardboard note comes back. N: Smells like a chalky [Guyanese] rum with Demerara sugar, aromatic shampoo!, lime, mint and luscious, honeyed fruity cough sweets. Considering that this is destined for blending in the main, its immediately and accessibly appealing. T: A slightly rough distillate which makes for a difficult opening delivery. The spirit dies down some to reveal fresh, chalky, chocolate [but still spirity] notes. Theres more oak sweetness with water but for me its still less sweet than desired at this stage. F: Sweeter caramel now with some oak showing before returning fresh and chalky - reminding me of Monkey Shoulder [Batch 27] WB from the palate to this point, albeit with less Speyside terrier. Its better with water. C: A well made rye with an interesting nose but best as a competent mixer, not so stella neat.